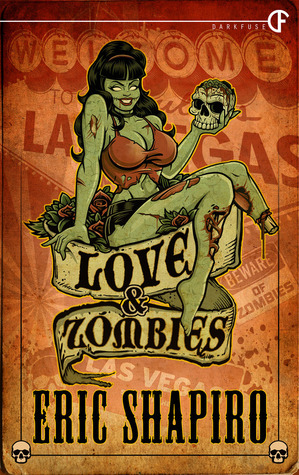 For this weeks Zurvival Saturday I'll be reviewing Love & Zombies by Eric Shapiro. Love & Zombies is part of the Dark Fuse Novella series. I've been really enjoying these books so far and look forward to reading more in the future. If you would like to learn more about Love & Zombies just click on the cover and it will take you to Goodreads! Anyway let's get on to the review shall we! On the third day, if the sorry disgrace looks into a mirror, he or she will see a zombie looking back. Love & Zombies takes place after the Zombie Apocalypse has already ended. Henry and Sam have been best friends since they were children. When Sam promises Henry he can make him rich if they just do one little task the offer proves to good to pass up. All that's required? Secure a Zombie female and make sure she's fresh. Not an easy task when they've all been eradicated or have they?? I loved this little Novella. While It was a quick read Love & Zombies really grabbed me from the start and kept me glued to the pages until the very end. While the book certainly leans towards the comedic side of things it was also very disturbing as well. I don't want to give away the reason why these people need a zombie but I guarantee it's not the reason you expect. 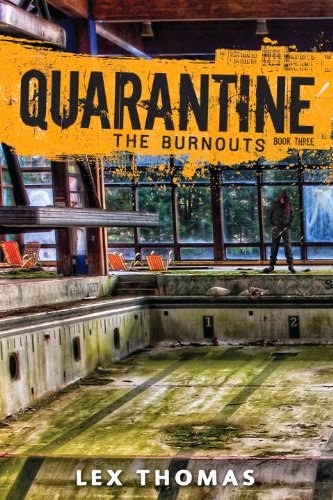 I particularly enjoyed the way the Author handled the Zombies, they were scary! I don't think I've ever seen Zombies that could break down walls the way these did. It felt fresh and new which was nice. It was also really cool to see the way the virus progressed through an infected persons system. It wasn't an immediate death the infected had days to come to grips with the fact they'd turn into one and seeing the effect it had on a persons psyche was particularly interesting. On the upside it also provided a chance for survival since it gave them time to create a cure. Whether it worked or not well you'll just have to read the book to find out! Overall, I highly recommend this Novella. The writing was strong, it had decently word building and best of all I liked the characters. In the end, I will be rating Love & Zombies by Eric Shapiro ★★★★.